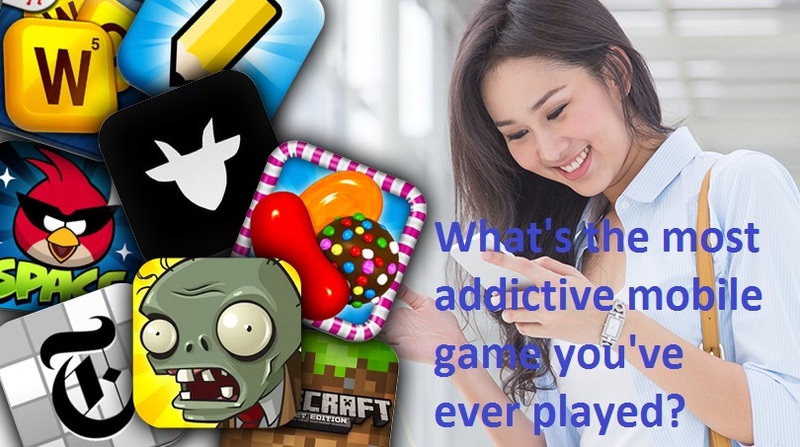 What's the most addictive mobile game you've ever played? The growth of mobile technology in recent years has brought about a lot of new things including mobile games, I remember some years ago as kids we only had few mobile games to play such as Snakes, Tetris, and Mortal Combats etc. Today there are hundreds of thousands of mobile games out there to choose from, smartphone being a common thing today means that most of us walk around with several mobile games in our hands all the time and can’t wait to find some spare time to play our favorite mobile games. Today I want to find out from you the most addictive mobile game you have ever played. Some mobile games are made to be played on the go, others to keep us occupied for hours. But some mobile games are so addictive we just can’t stop playing, we always want to play one more stage, one more match, one more turn etc. In the poll below, choose the most addictive mobile game(s) you have ever played and click the “Vote” button. The game with the highest amount of votes in percentages will be considered as the most addictive mobile games while the ones with less votes will be considered as less addictive mobile games. If you cannot find your most addictive mobile game in the poll, please share with me through the comments below. I have personally played all the mobile games listed here and i can say that most of them if not all are quite addictive, i still play Candy Crush Saga till date. I bet so many of you will agree with me that these mobile games are quite addictive. Vote for your most addictive mobile game in the poll above, if you don’t mind you can share with us via the comments which you voted for and why you find it quite interesting to play. What Stage are you currently on? What are your challenges of playing the games and your expectations or changes do you want to see in the next upgrade? I enjoy mobile games but I hate games that require you to spam your friends in order to get farther in the game.